Porcine epidemic diarrhea virus or PED — a disease that has killed millions of piglets around the world — has been detected in Alberta for the first time, says the Alberta Pork Producers Development Corp.
A disease that has killed millions of piglets around the world has been detected in Alberta for the first time. 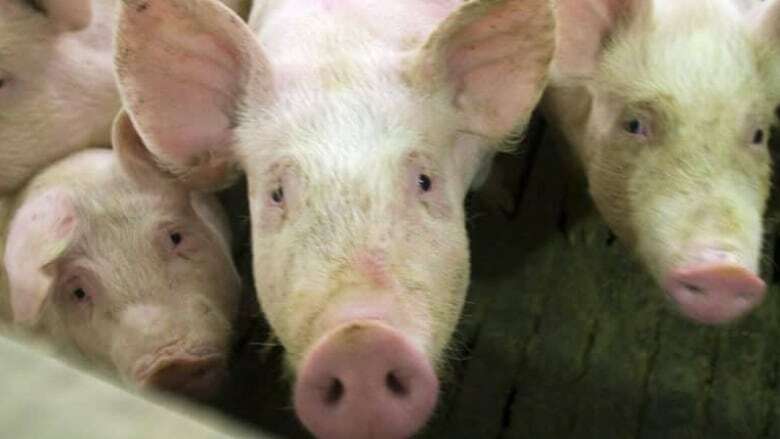 The Alberta Pork Producers Development Corp. says the porcine epidemic diarrhea virus, known as PED, has been found at a 400-head hog operation in the province. Alberta Pork says the disease affects pigs but poses no risk to human health and has not caused any food safety concerns. Darcy Fitzgerald, executive director of Alberta Pork, says the virus is nearly 100 per cent fatal for young piglets. "Now we're just trying to figure out what happened, how it got to the farm and try to deal with the pigs themselves," he said. "We're hopeful that we'll be able to keep it under control." The first case of the virus was confirmed by the Canadian Food Inspection Agency in 2014 on a swine farm in Ontario. Since then the disease has also been reported in Manitoba, Quebec and Prince Edward Island. Alberta Pork says strict biosecurity procedures can limit the effect and spread of the disease. "Any place off-farm, such as an abattoir, should be considered as a potential source for bringing disease to your herd," Alberta Pork said Tuesday in a disease notification to producers. "Producers are reminded to review their farms' biosecurity policies regularly and consult Alberta Pork or your herd veterinarian as required." Alberta Pork is a non-profit organization that represents the interests of Alberta hog producers to government and the public. A previous version of this story incorrectly identified the executive director of Alberta Pork as Darcy Levesque. His name has been corrected to Darcy Fitzgerald.